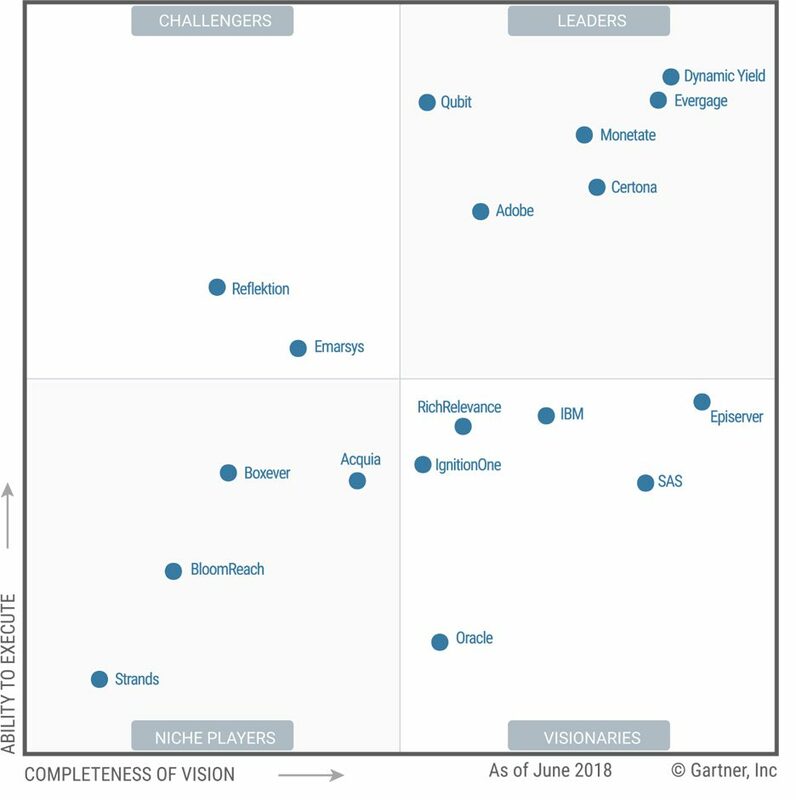 Corra is proud to announce that two of its trusted personalization partners have been named leaders in the 2018 Gartner Magic Quadrant for Personalization Engines. Gartner, Inc. is the leading provider of research and analysis on the global information technology industry. In this first-ever ranking, Gartner evaluated 18 personalization engines and assessed them based on their ability to execute and their completeness of vision. Dynamic Yield and Monetate, two of Corra’s personalization partners, were named leaders in this area. Dynamic Yield, the AI-powered omnichannel personalization engine, was a standout for ability to execute and completeness of vision. The platform helps marketers increase revenue by automatically personalizing each customer interaction across the web, mobile web, mobile apps, and email. Monetate, a global leader in personalization software for consumer-facing brands, analyzes more than one million data points per second to help brands make more informed decisions. In the fiercely competitive retail landscape, how data is gathered, stored, and analyzed is no longer the only focus. The methodology used to implement deeper insights is becoming increasingly important to successfully leverage evolving trends and respond to customers’ needs, preferences, and desires in real time. Platforms such as Dynamic Yield and Monetate are allowing hundreds of merchants to adopt a culture of experimentation and 1:1 personalization. Our technology partners always provide great value to our clients. We’re very proud that two of our best have been named Leaders in Gartner’s Magic Quadrant for Personalization, further evidencing our commitment to quality partnerships we can pass on to global brands. Powered by these integrations, Corra’s Digital Intelligence practice utilizes a unique methodology to build a strategic roadmap aligned to each client’s business goals and metrics. Throughout the four phases of our program — Testing, Merchandising, Segmentation, and Personalization — we bring in specialists with specific core competencies and skills, including digital strategists, UX strategists, visual designers, and certified developers. 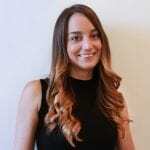 Together, these experts work as an extension of our clients’ team to create immersive experiences that boost customer loyalty and drive conversions. If you’d like to learn more about our Personalization and Optimization program, contact us today.